Paramedic attending to the victim. 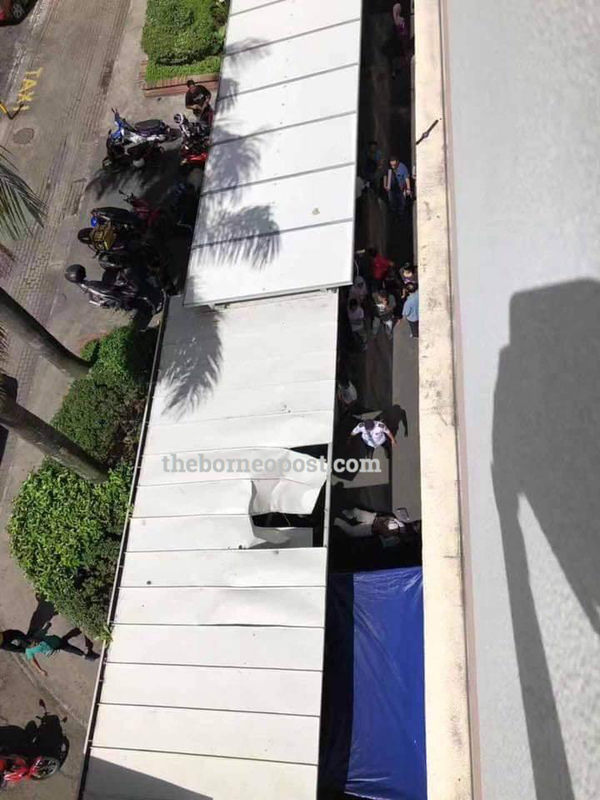 KOTA KINABALU: A man broke his leg after falling from the six floor of a shopping complex here today. 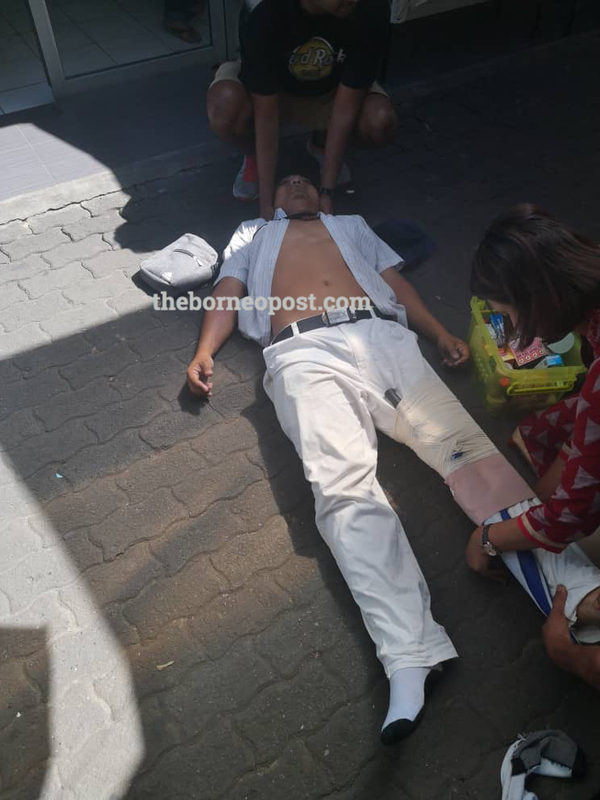 The victim, said to be a disable in his late 30’s, believed to had slipped and fell from the six floor and onto a motorcycle shelters before landing on the concrete around 2pm. The victim apparently fell from the six floor and onto motorcycle shelter before landing on the concrete. Security and the shopping mall management immediately called ambulance who arrived shortly. The victim was given treatment at the scene before he was taken to hospital for further treatment.